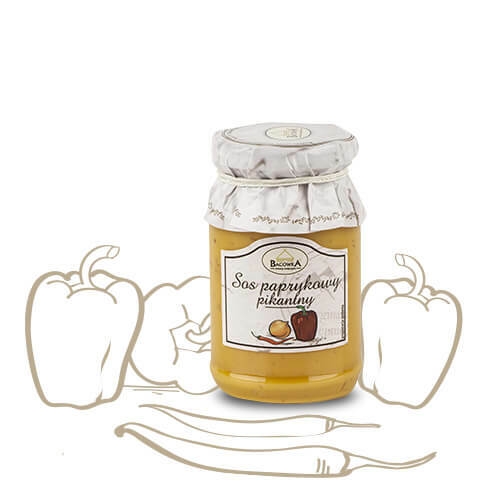 Our mustards and sauces are produced in a traditional way by local producers. 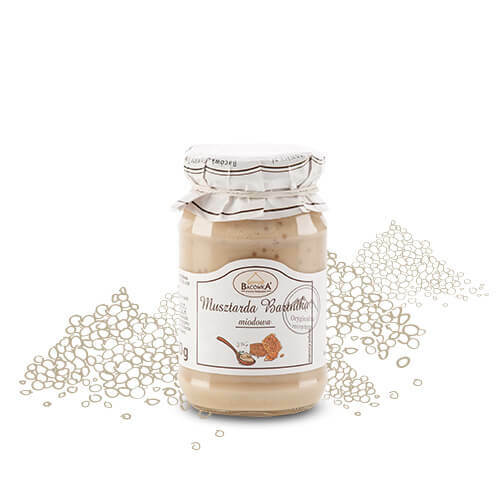 Perfect proportions and well-chosen ingredients are the secret of their success and extraordinary taste. 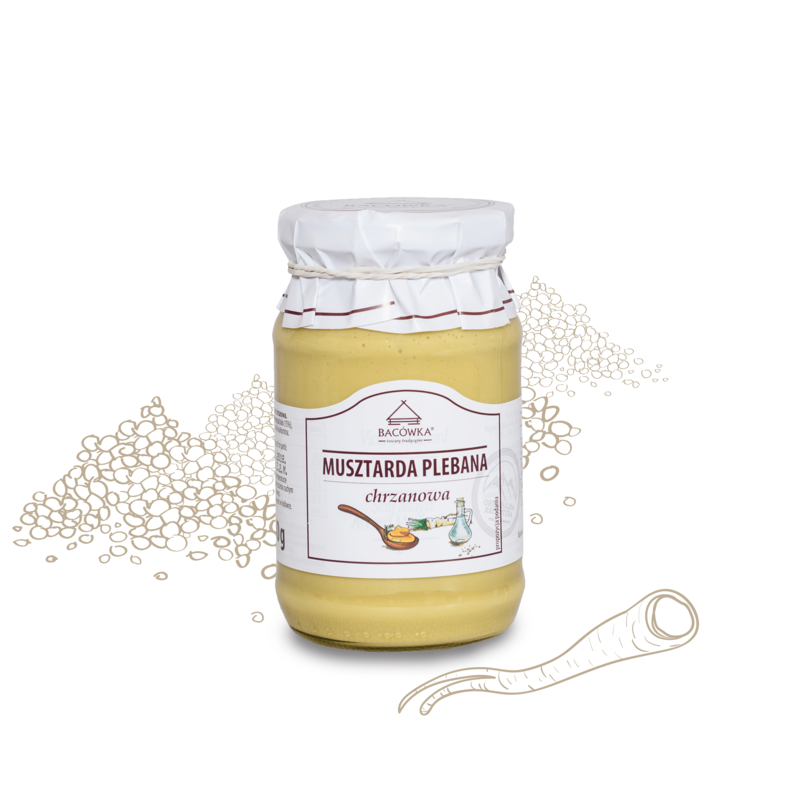 In our offer there are sauces and mustards with a mild flavour (e.g. 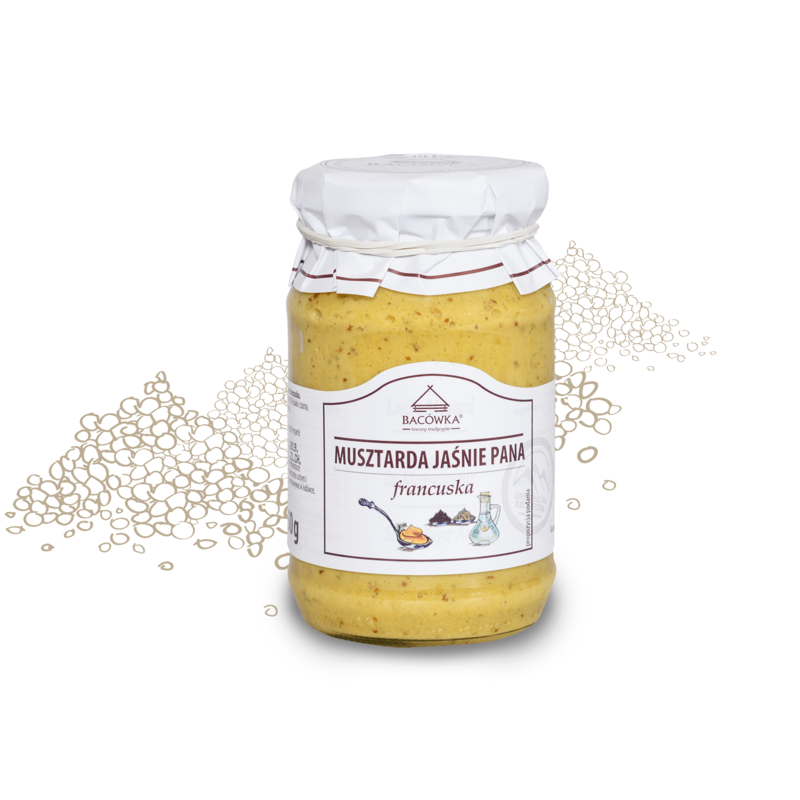 honey-based mustard) as well as spicier ones (e.g. highland sauce with an addition of hot chili pepper). No preservatives and artificial dyes. 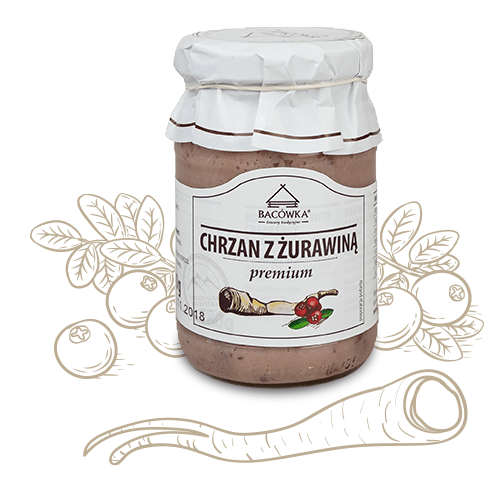 Premium horseradish with cranberry 180 g.
Premium horseradish with apple 180 g.
Delicious sauce tomato and capsicum with abundant onions, garlic notes about palpable. 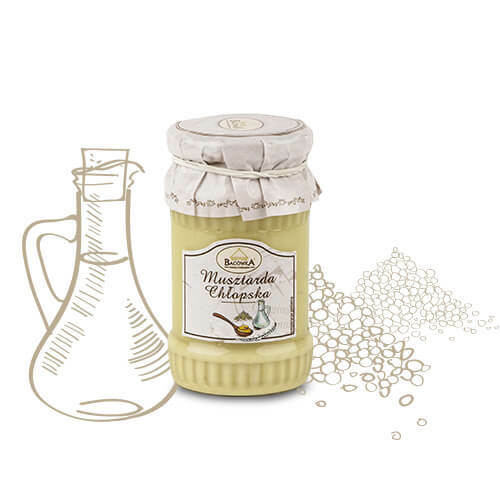 Prepared according to a proven recipe, properly seasoned, it is a great addition to meat dishes, pasta or casseroles. 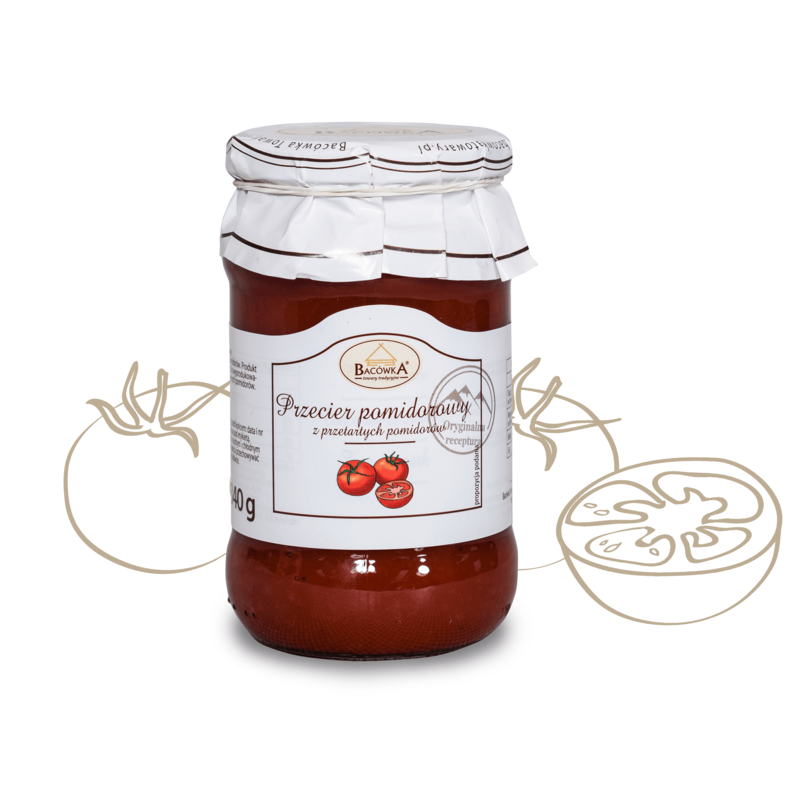 Spicy red pepper sauce 260 g.
Ketchup prepared with the highest quality, juicy tomatoes. 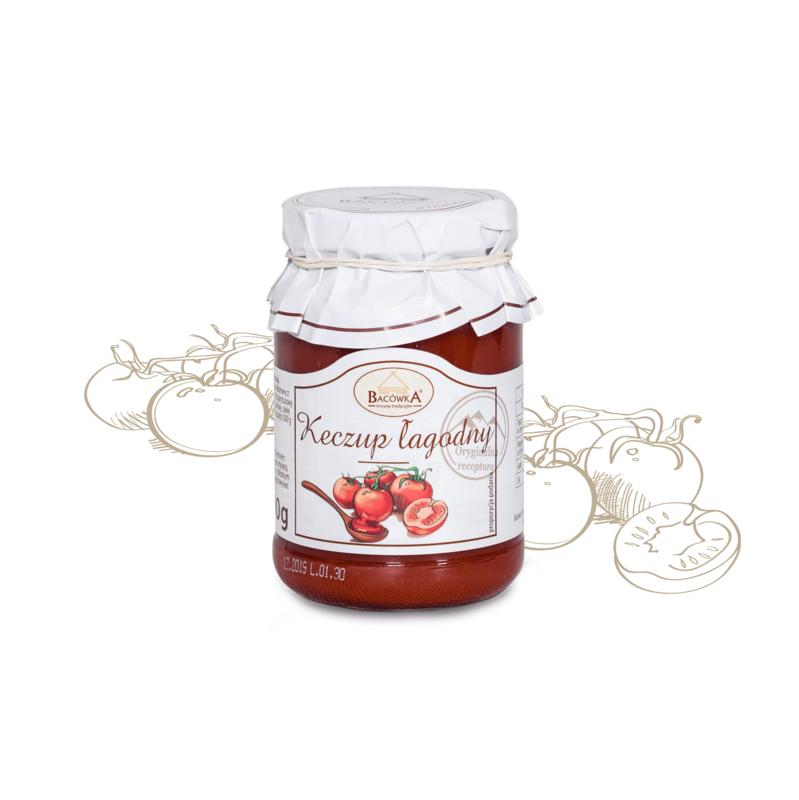 It captivates with a gentle but strong tomato flavor and wonderful aroma. 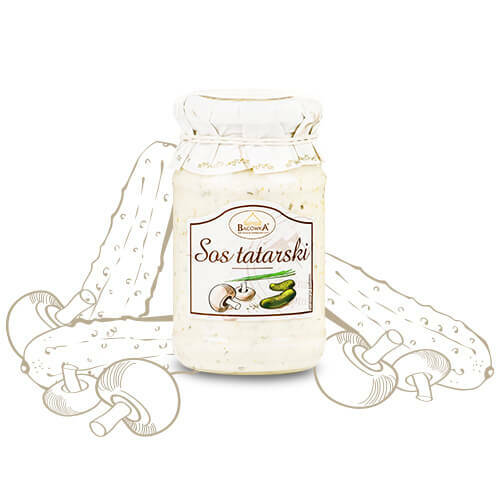 Great enriches the taste of sandwiches, pizzas, casseroles and many other dishes. This multi-purpose product, useful in any kitchen. 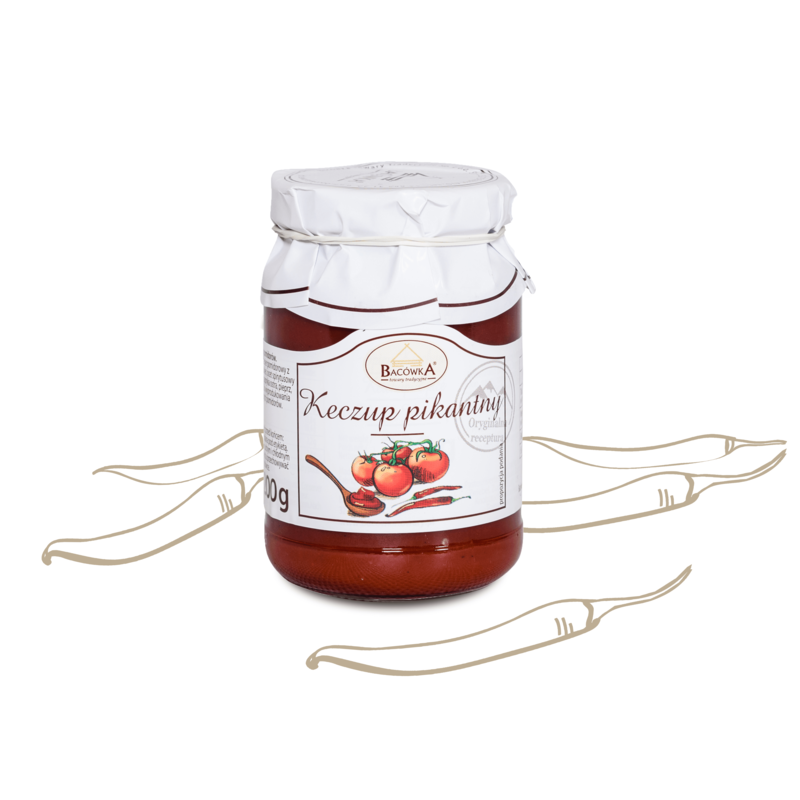 Excellent, very spicy ketchup delights the taste of real tomatoes and a wonderful aroma. 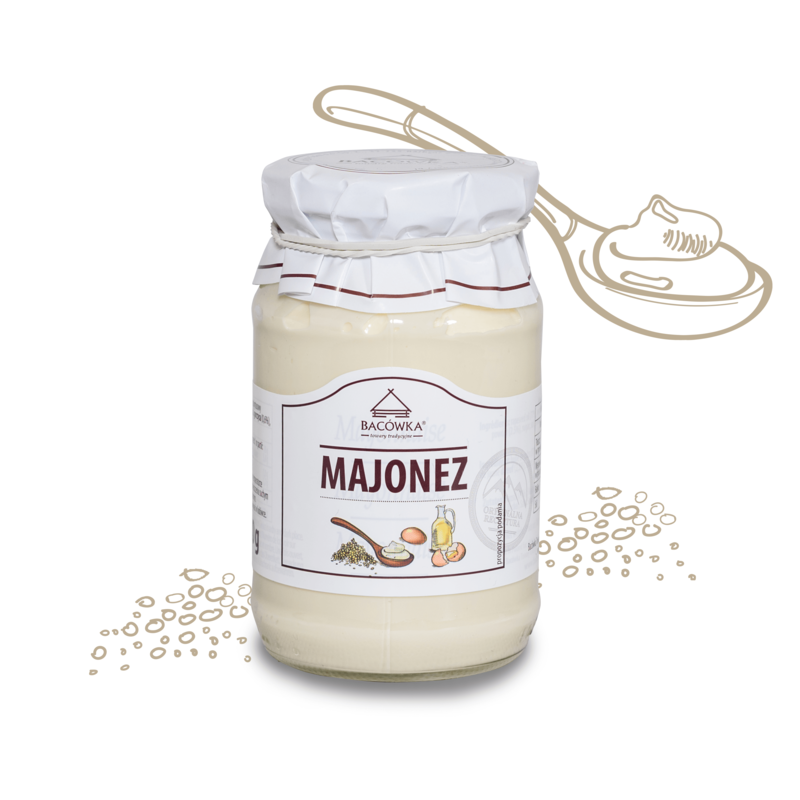 Focus gives it an appropriately balanced addition of peppers and carefully selected spices. Go ahead, you can lubricate it sandwiches the bottom of the pizza or enrich the favorite, homemade tomato sauce. 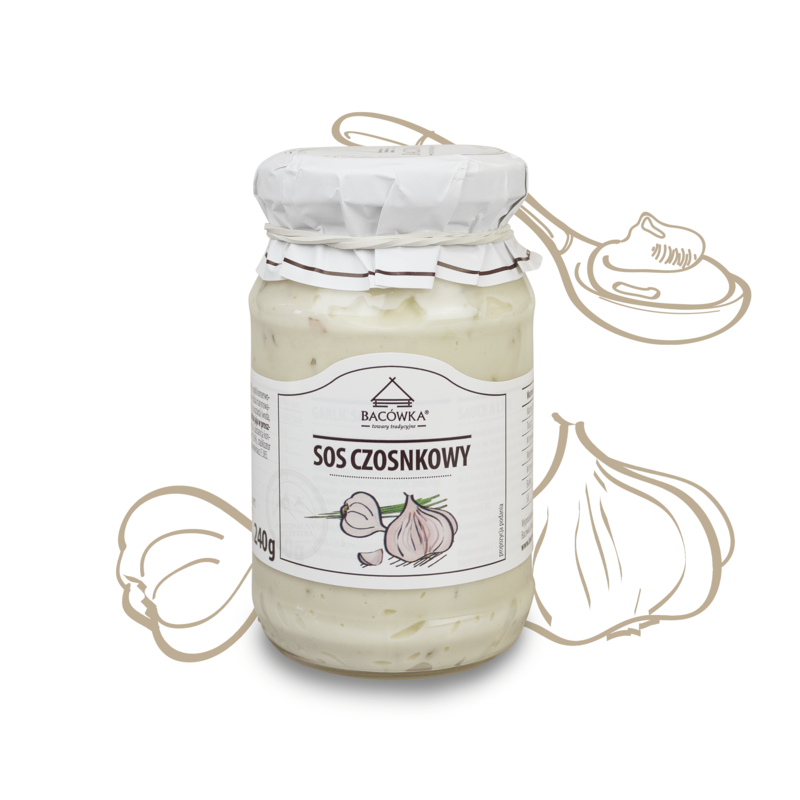 Delicious, aromatic horseradish with a smooth, thick consistency, add a refined focus mięsom, wędlinom, jajkom and sauces. 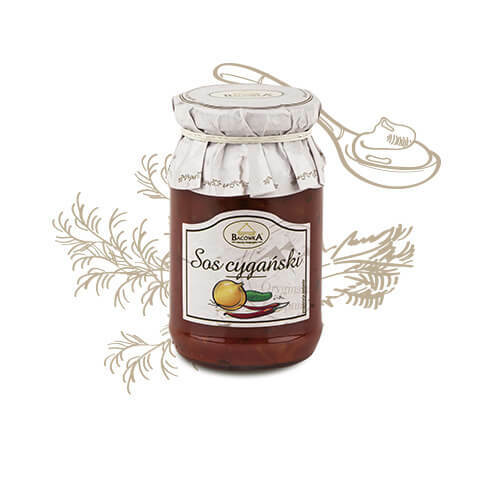 This exquisite ingredient great find both on the holiday table, and in more daily installment.